548 pages | 4 Color Illus. | 140 B/W Illus. 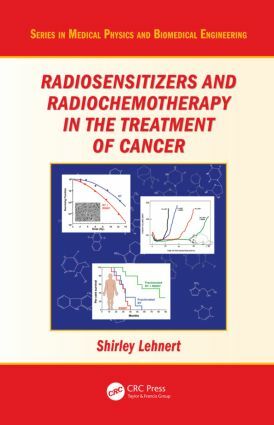 "This book is intended for both graduate students and seasoned researchers seeking a detailed review covering the therapeutic benefits of a combination of radiotherapy and drugs that alter the metabolism of cancer cells and their response to radiation. The summary at the end of each chapter targets the important points and directs the reader to the sections that are most relevant to him. Although preclinical studies are widely documented, the author took care to establish the links with clinical trials to appreciate the real impact of the various combinations of radio- and chemotherapy." "This book is a great contribution to the field of radiation biology, examining the mechanisms of action, clinical uses, and targeting of radiation response modifiers, both radioprotectors and radiosensitizers. The depth and breadth of information covered in this text is exceptional and will be useful to oncologists, radiation oncologists, radiation biologists, medical physicists, and other radiation workers who seek to use radiation response modifiers in association with cancer therapy. This book will be useful in the clinical setting as well as in graduate school classrooms around the world." Shirley Lehnert is currently a professor in the Department of Oncology at McGill University in Montreal, Quebec, Canada. She graduated from London University in the UK with a PhD in biophysics. Dr. Lehnert did postdoctoral work at the University of Rochester. She conducted research in radiobiology and biophysics first at Sloane Kettering Institute and then at the Radiological Research Laboratory of Columbia University in New York. Dr. Lehnert has published extensively in the fields of radiation biology, tumor biology, and drug delivery.